Samaria Rice, the mother of Tamir Rice, the 12-year-old Cleveland boy who was shot and killed by a police officer, released a statement after a grand jury didn’t indict two officers involved in the case. Rice was shot to death by officer Tim Loehmann on the playground after he and another officer, Frank Garmback, saw him with a toy gun. 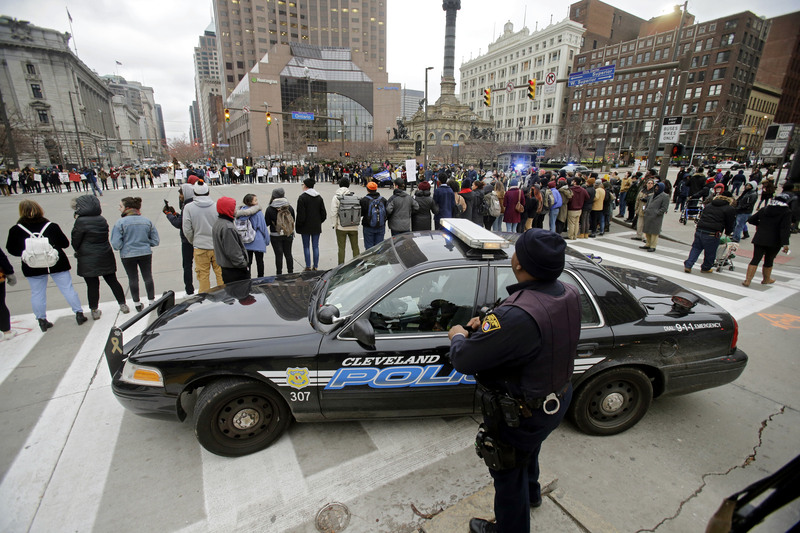 An Ohio grand jury found that Loehmann and Garmback will not face criminal charges. Prosecutor Tim McGinty said Monday said the incident was a “perfect storm of human error, mistakes and communications by all involved that day,” reported CNN. As a result, there was no criminal conduct carried out by police, he added. Loehmann, who was in training, shot Rice in November 2014, while Garmback was training him. In light of the circumstances, he said that it was “reasonable” to believe that Tamir was a threat, adding that the toy looked like a real gun. 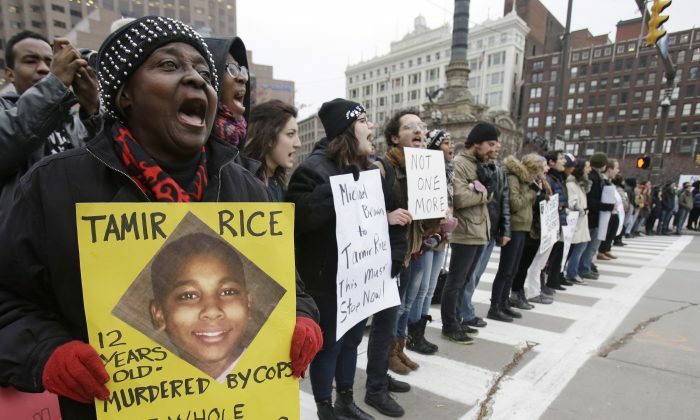 “Today, more than a year after Cleveland police shot and killed 12-year-old Tamir Rice, a grand jury voted not to indict the shooter. Tamir’s family is saddened and disappointed by this outcome–but not surprised. It has been clear for months now that Cuyahoga County Prosecutor Timothy McGinty was abusing and manipulating the grand-jury process to orchestrate a vote against indictment. Even though video shows the police shooting Tamir in less than one second, Prosecutor McGinty hired so-called expert witnesses to try to exonerate the officers and tell the grand jury their conduct was reasonable and justified. It is unheard of, and highly improper, for a prosecutor to hire “experts” to try to exonerate the targets of a grand-jury investigation. These are the sort of “experts” we would expect the officer’s criminal-defense attorney to hire—not the prosecutor. The way Prosecutor McGinty has mishandled the grand-jury process has compounded the grief of this family.